I have a bit of a thing for blogging, but it is rather somewhat of an indoor activity. And I have been mostly outside. Because that’s where the sun has been. You see my predicament. Whilst not in front of my laptop however the rubble has been cleared from the back bedroom so the plasterer can get in and do his thing (who build’s airing cupboards out of breeze blocks anyway? ), the cars are shiny clean, the fence is mostly painted, two veg patches have appeared as if from nowhere, and a daily monitoring of our two seed trays now occurs at around 8:30am every morning in the hope that something green might appear. 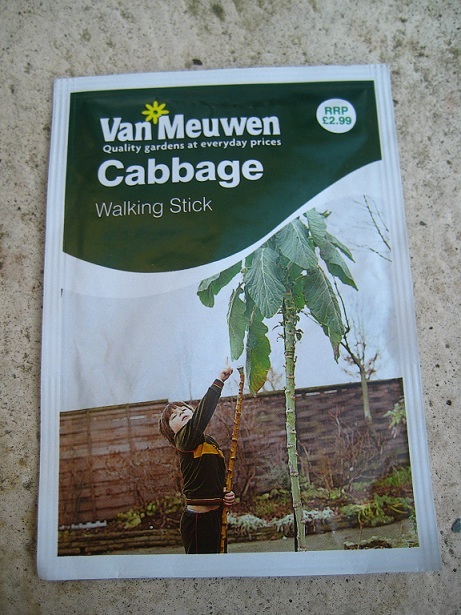 As yet this is not affirmative, but I am excited at the promise of a seven foot cabbage nonetheless. With a kid rocking some retro velour.